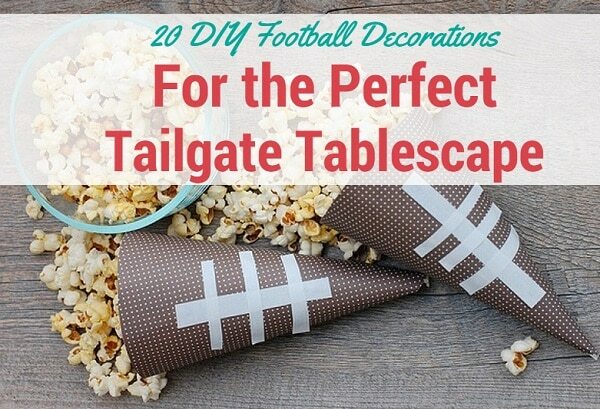 Celebrate the return of football season with these DIY football decorations that are perfect for game day. 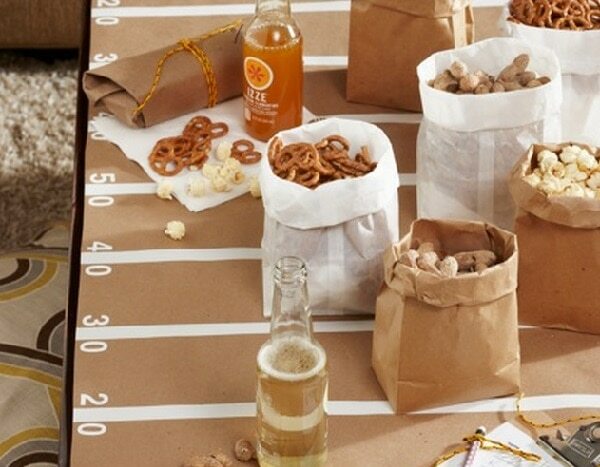 You will step up your pigskin party decor with these spirited tailgate tablescape designs that feature footballs, yard lines, goal posts and more. 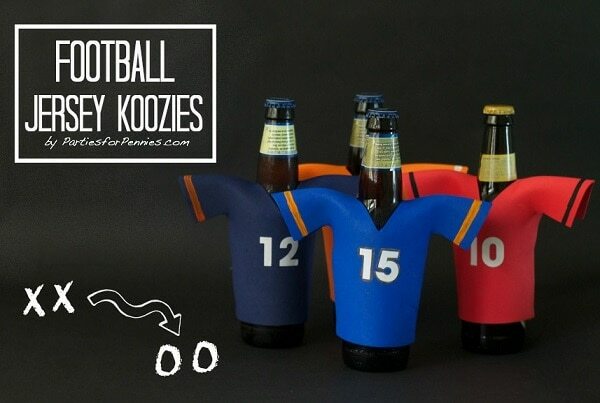 Keep your drinks cool by dressing them in foam football jerseys. You can use your team’s colors or even make a jersey in honor of your favorite player. 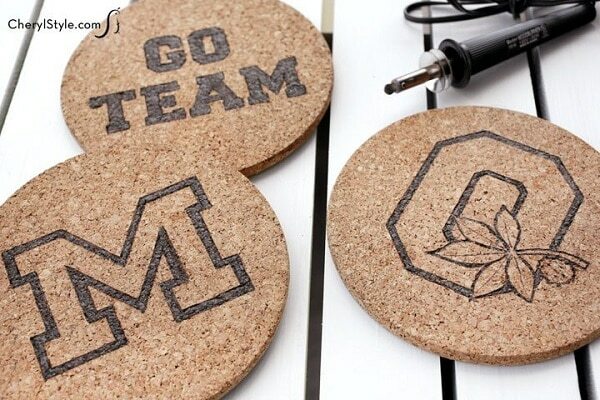 Find your team’s logo online and replicate it onto cork trivets so you can protect your tabletop with spirit.You’ll need a woodburner pen for this project, but they’re not expensive and they’ll come in handy for a wide range of future crafting endeavors. 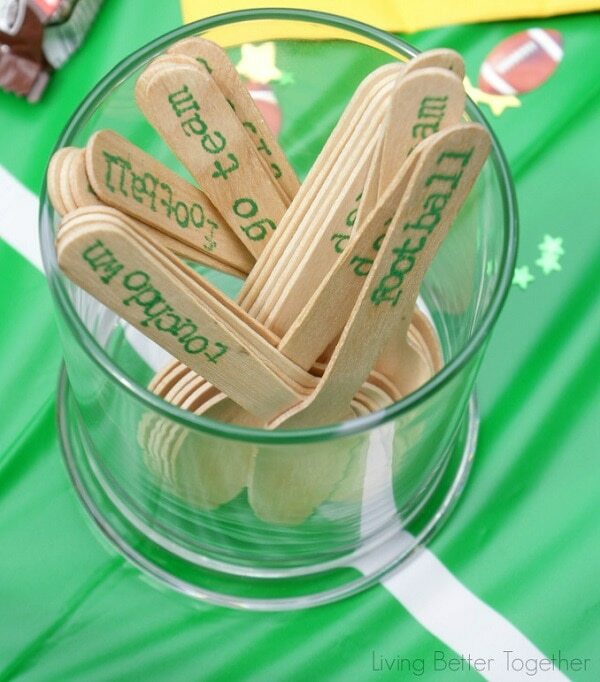 These stamped wooden spoons are a quick and easy way to set the football mood. 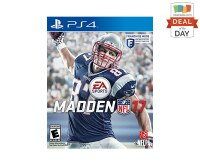 You’ll need alphabet stamps and an ink pad in the color of your choosing–and, of course, some football-related lingo! 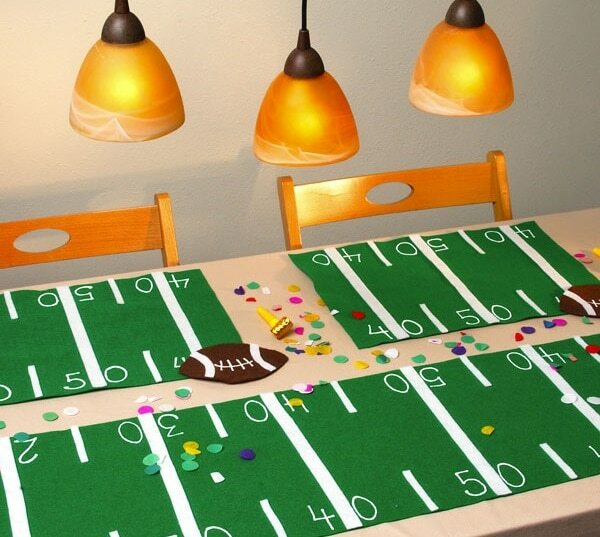 Your tabletop can mimic the football field with placemats or a runner made out of green felt and white paint. Brown felt coasters and colorful confetti complete the look for this tailgate tablescape. 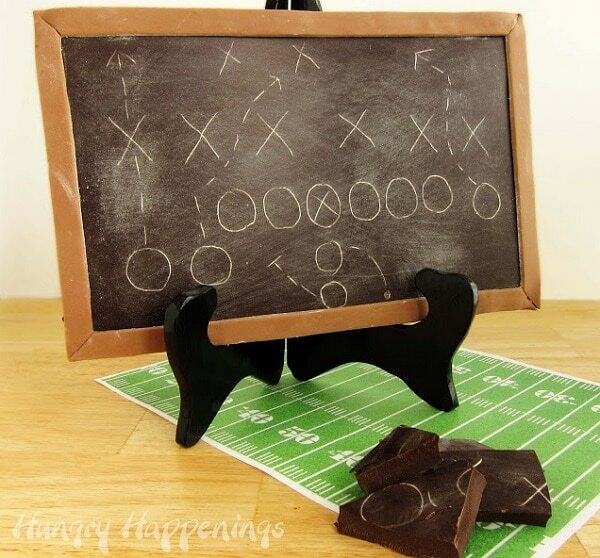 Way yummier than your typical football play diagram, these edible chocolate boards will help you track the game, then indulge your sweet tooth when it’s over. The ‘chalk’ is actually white chocolate. You can even make smaller boards to hand out as party favors. This is a fun and easy DIY football decoration that the kids can make with you. 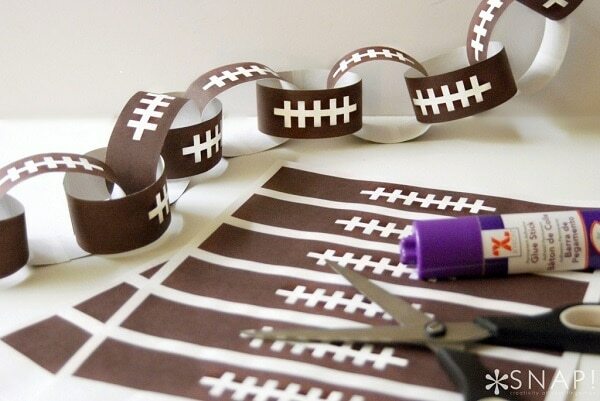 Use football laces printables or make your own with construction paper and then hang this sporty paper chain above the buffet table. 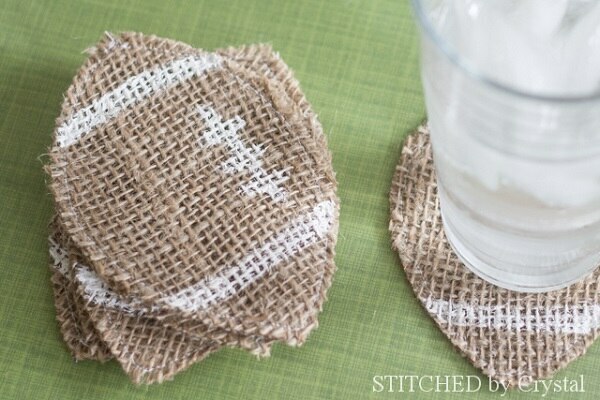 Some basic sewing skills are required to create these football coasters. 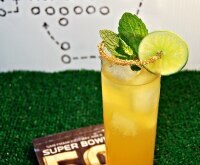 Simply double up two layers of football-shaped burlap, stitch them together, then paint on the laces. Maybe your guests will actually use coasters if they’re this cute. 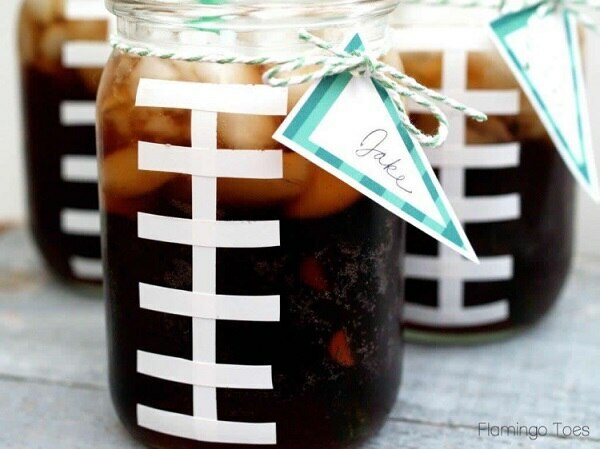 To make these sporty sippers, cut white electrical tape into small strips and tape them in the pattern of football stitches on the side of a mason jar. 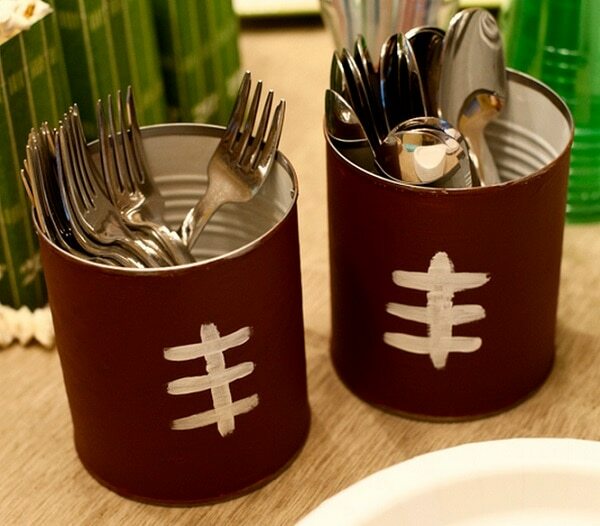 FIll them with beer, soda or your game day drink of choice. Festive bunting is a surefire way to set the party mood. To create this yard line version, cut faux grass carpet into triangles and mark them with white duct tape to resemble football field yard lines. 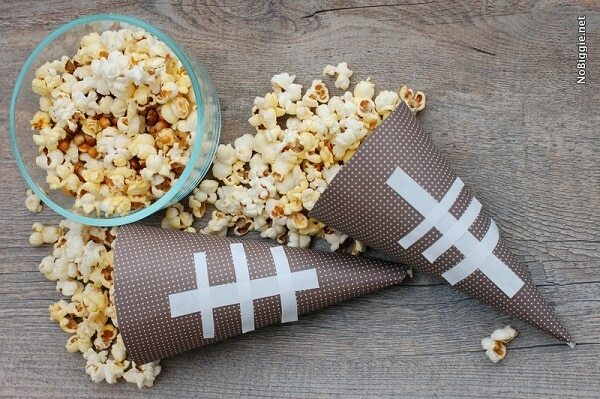 To make these football snack containers just cut pie-slice shapes out of stiff paper, roll them into cones, and staple to secure. Glue on strips of white paper in the pattern of laces and you’ve got the perfect device for holding popcorn, nuts or pretzels. What could be a more fitting centerpiece for game day than a goal post? This one is made from wooden dowel rods, yellow paint and hot glue. Insert the finished goal post into styrofoam and cover it with artificial grass to complete the look. 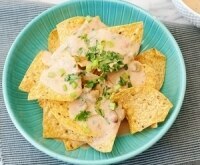 This is the perfect centerpiece to go along with your tailgate worthy slow cooker meals. 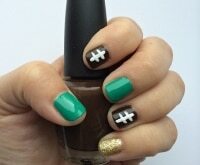 The traditional football may be made out of pigskin, but you can show some spirit with a lighter-weight version. These fluffy footballs, made out of tissue paper, twine and card stock, can be hung over the table at your game day fete. An easy way to add to your spirited decorations is to paint two empty cans brown and white to resemble a football (painting directly over the can’s paper label will mimic the look of leather). Use them to hold silverware or other buffet essentials. 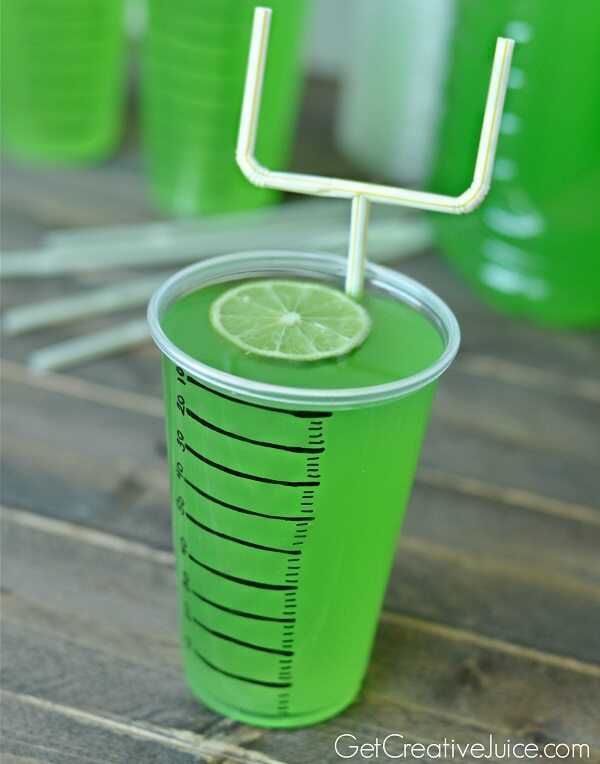 Some clever maneuvering with a straw and hole punch makes these goal posts score big at your tailgate party. 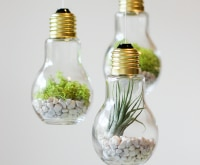 Even though they aren’t functional, they’re so cute that it doesn’t really matter. Draw field lines with a Sharpie on a clear plastic cup to complete the football field look. 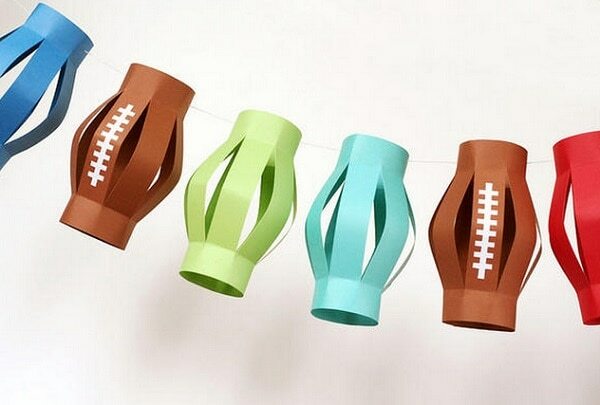 Faux lanterns always create a festive feel, and these football versions will get you in the game day mood. They’re made out of cardstock and some careful cutting with a scoring blade. 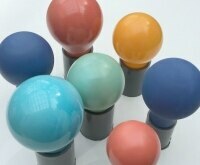 Hang them from a string using a circular hole puncher. 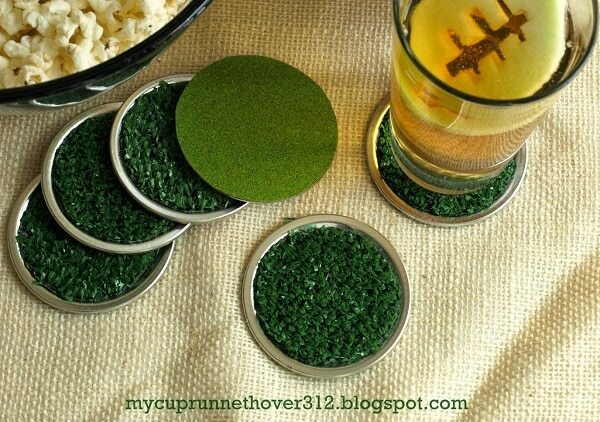 Glue cork to the bottom of jar lids and add turf on top to create faux grass coasters that resemble the playing field. 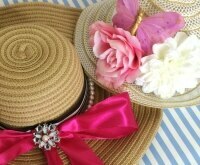 These would pair perfectly with the goal post straws and yard line cups above. 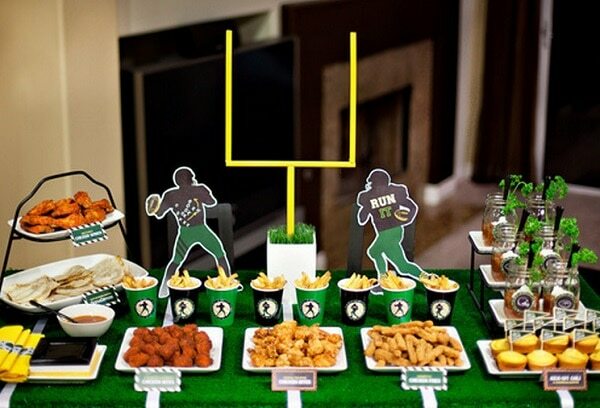 Ensure easy cleanup and protect your table while transforming it into a mini football field. You can easily create this table cover with craft paper, white electrical tape, and adhesive numbers. 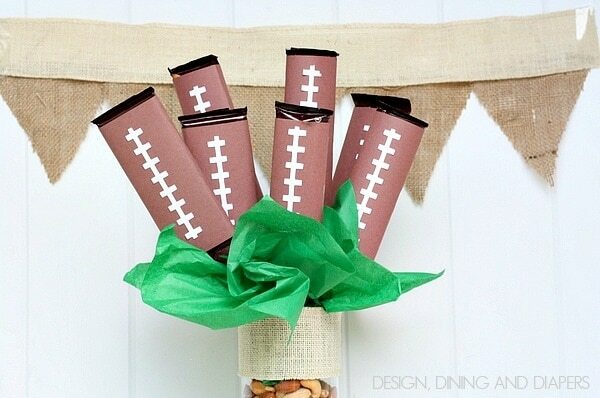 Disguise chocolate bars as footballs and gather them into a bouquet for a memorable and yummy centerpiece. Construction paper and glue are all you need. 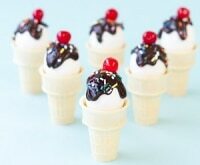 Guests can dig in to celebrate a win or cheer themselves up after a loss when the game is over. 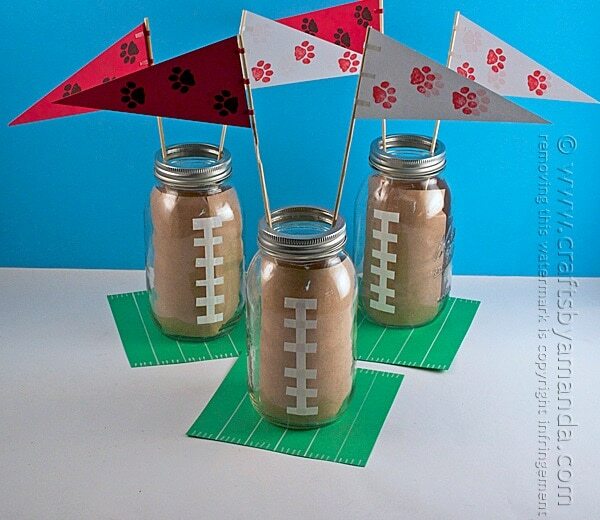 Card stock and white duct tape transform mason jars into little football centerpieces (an easy and recurring theme in these DIY foo0tball decorations). Amp up the team spirit by adding flags using stamps in the appropriate colors and motifs. 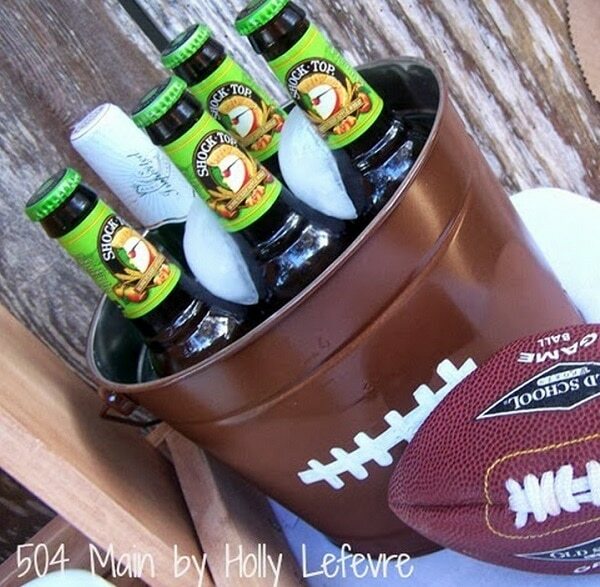 Keep those beers cold while maintaining the pigskin theme. Paint a large bucket from the hardware store brown and then add white paint for the laces. 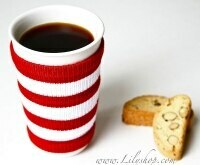 You can also choose to create this drink tub with brown suede or leather and white duct tape instead of paint. 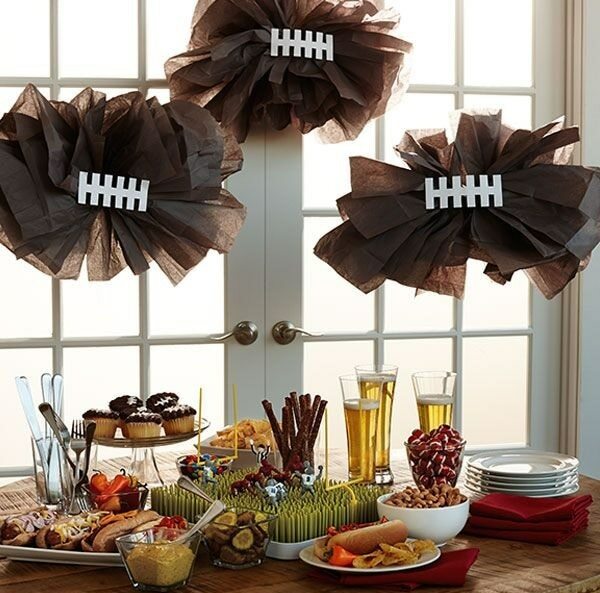 Throw a memorable and sporty celebration with a spirited tablescape featuring a football theme in fun and unexpected ways. 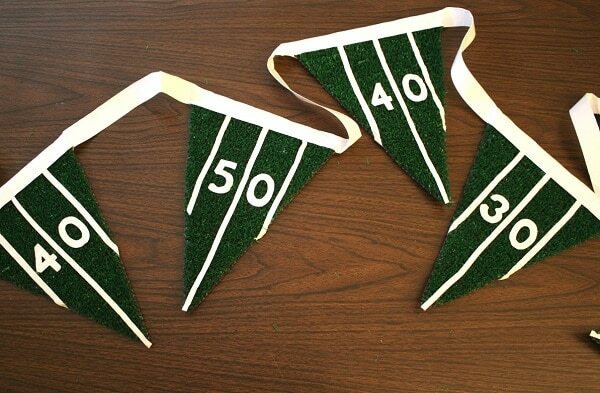 You’ll have to get creative with a range of materials and tools, but many of them can be found online from sites like Zoro (which has everything from duct tape to rotary blades and letter stamps), and the resulting themed decor is guaranteed to get your guests in the game day mood. But if you still find yourself at a loss this football season, check out our tips for the ultimate tailgating party to bring you up to speed.